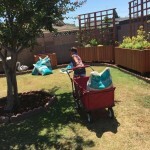 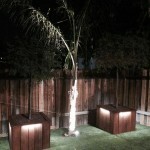 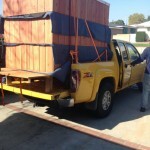 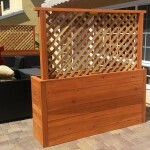 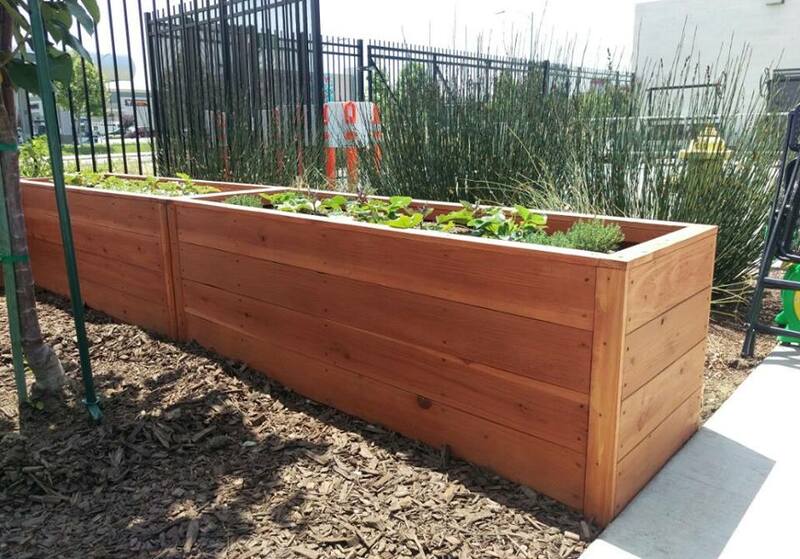 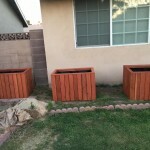 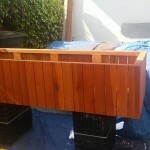 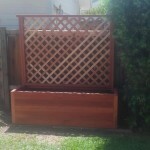 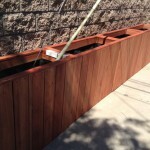 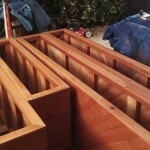 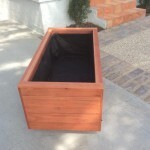 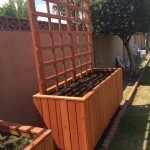 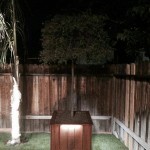 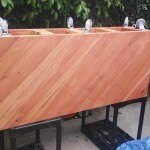 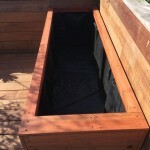 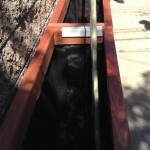 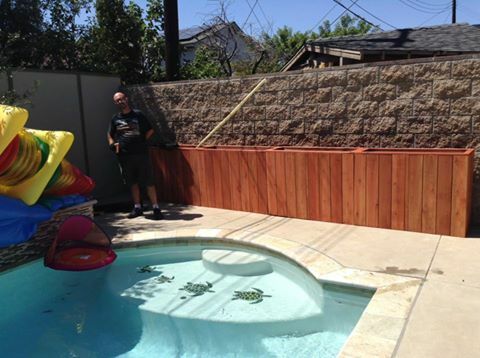 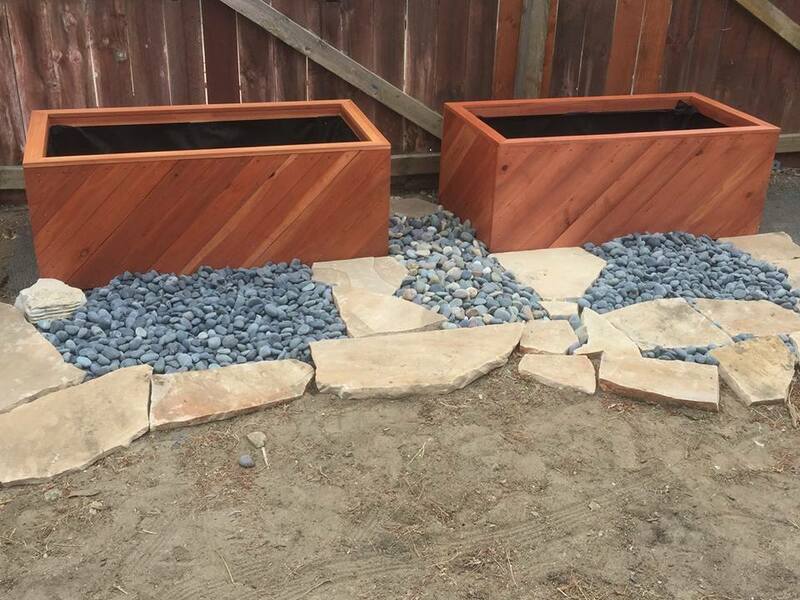 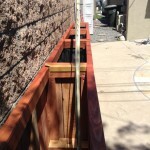 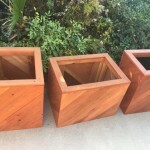 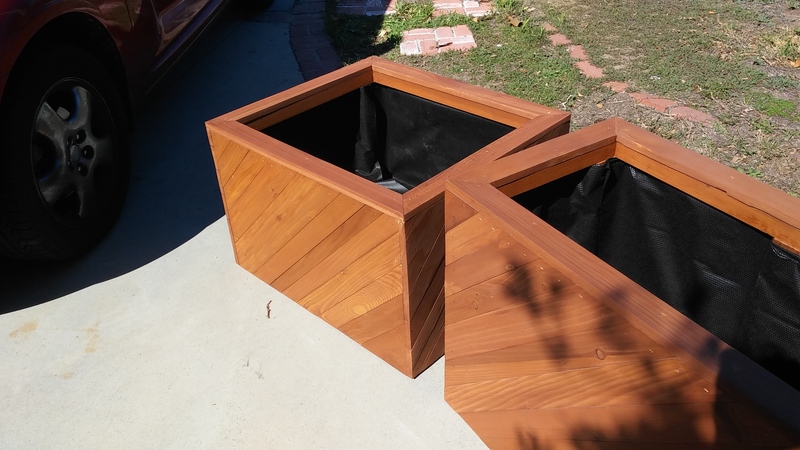 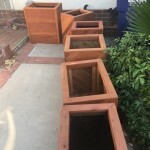 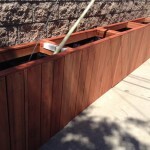 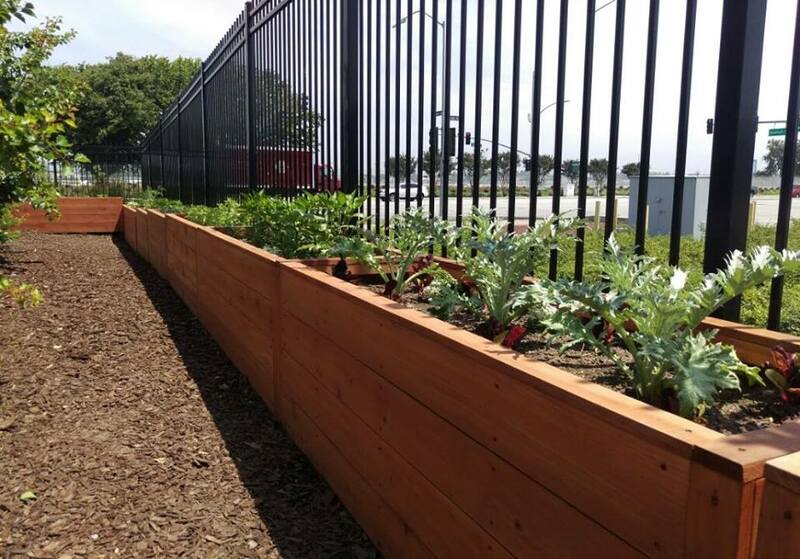 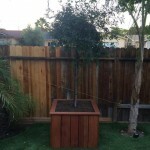 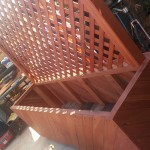 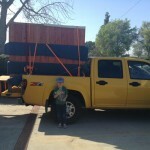 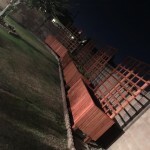 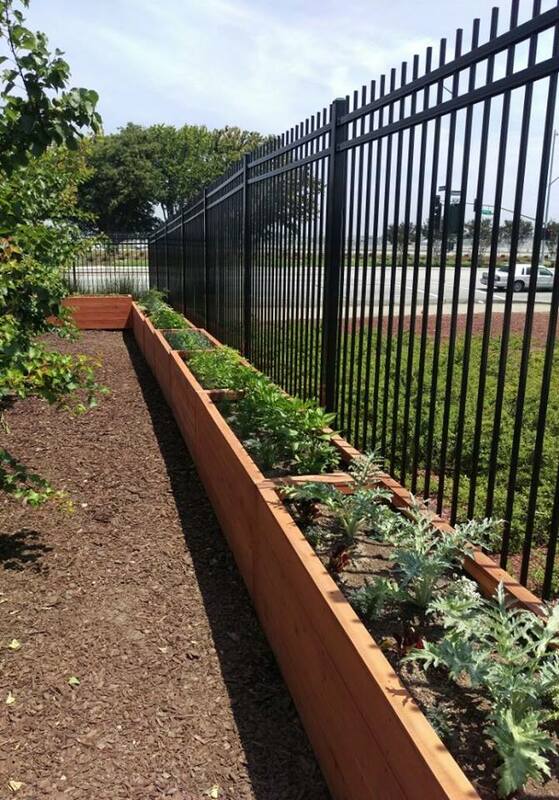 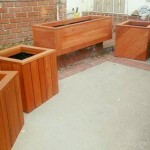 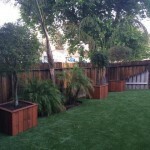 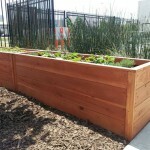 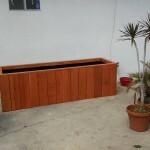 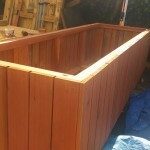 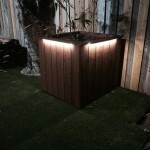 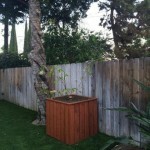 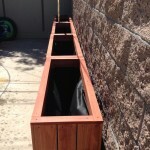 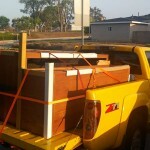 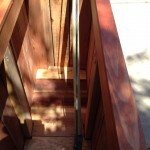 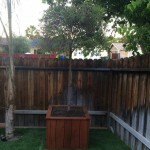 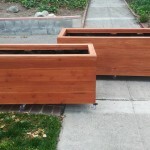 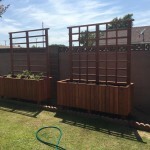 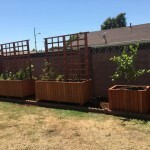 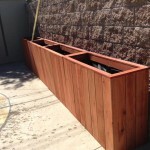 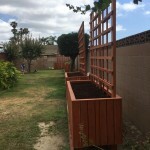 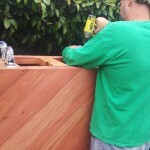 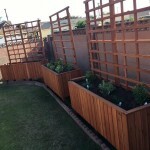 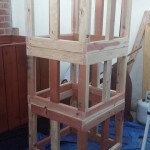 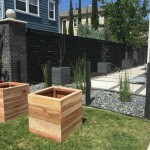 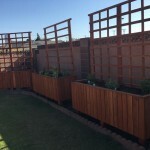 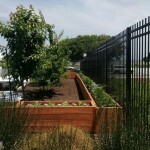 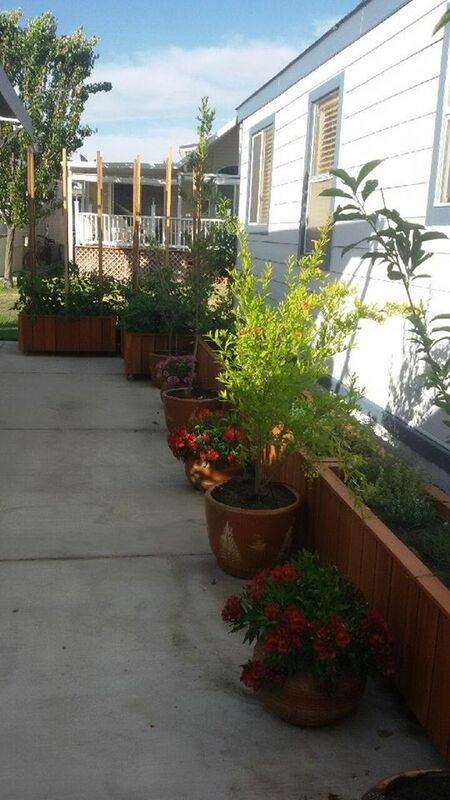 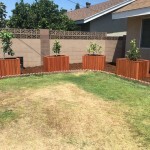 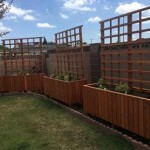 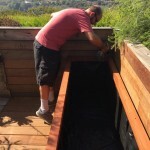 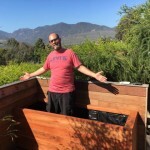 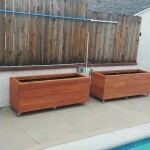 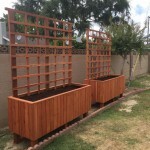 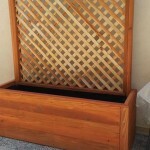 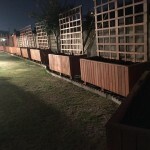 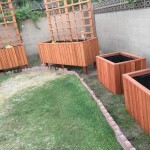 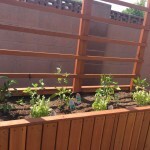 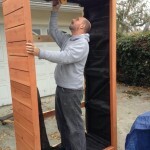 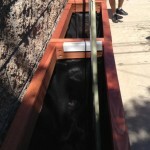 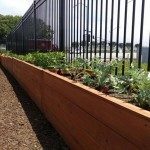 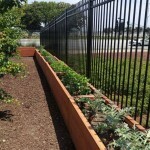 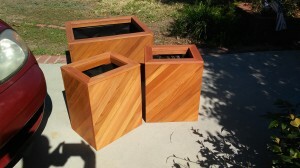 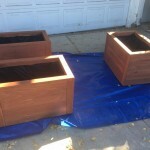 These custom redwood tree planters were a lot of fun to make and install in Costa Mesa, CA. 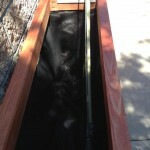 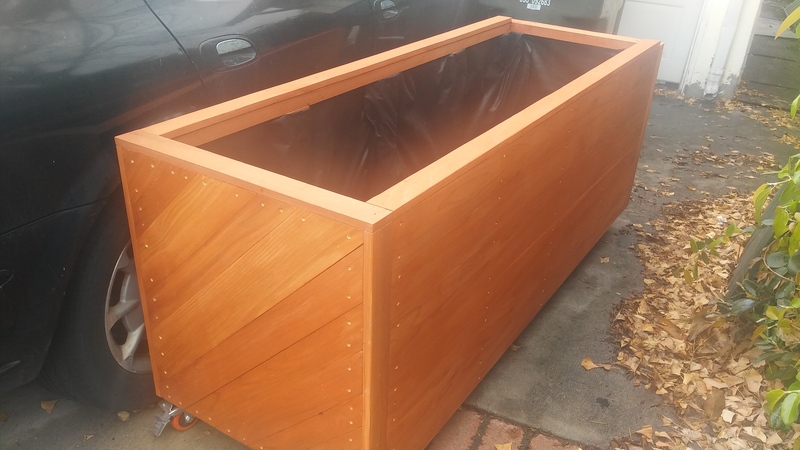 The end planter had to be custom made to be able to come apart and installed around a phone pole tension cable and also be thin enough to not take up too much space around a very beautiful pool. 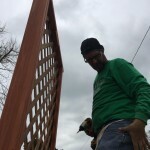 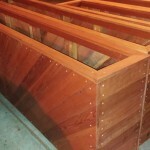 Here are some of the pics of this project. 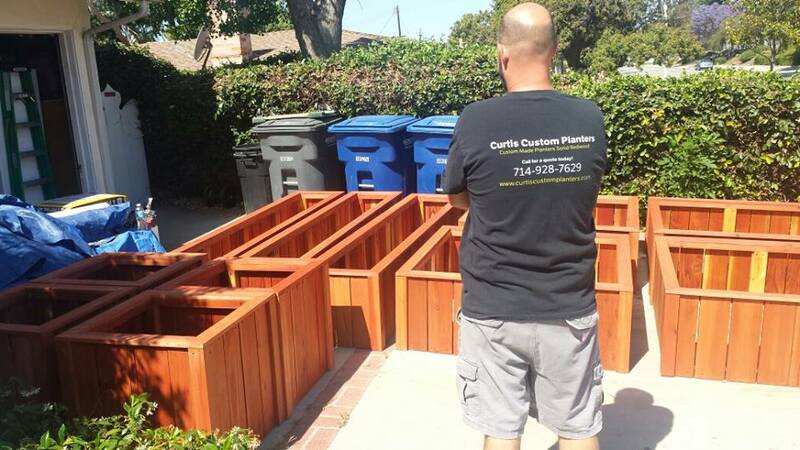 This entry was posted in custom, delivery, fence, installed, planters, raised bed, redwood, tree planter on July 22, 2015 by Robert Curtis. 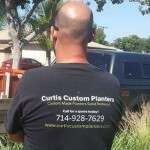 We had a customer drive 8 hours each way to pick up our planters this spring. 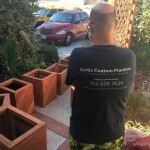 Very cool that our work is making it so far from home! 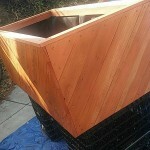 Here are some of the pics. 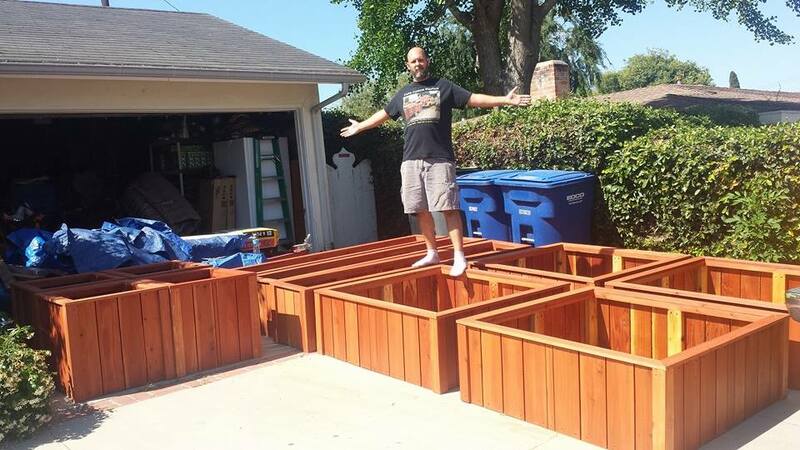 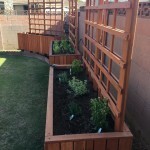 This entry was posted in custom, elevated, herb, planters, raised bed, redwood, tree planter, vegetable on July 10, 2015 by Robert Curtis. 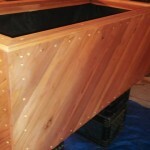 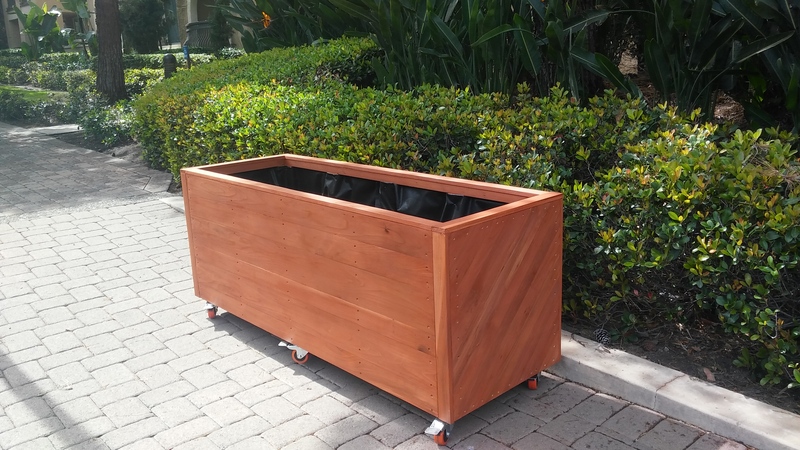 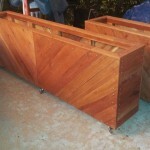 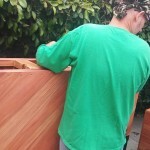 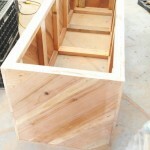 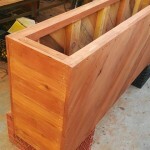 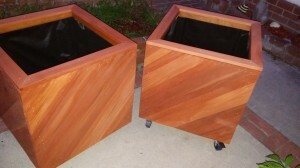 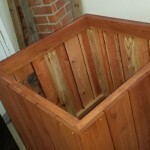 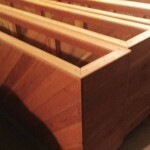 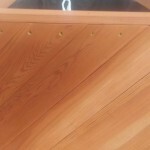 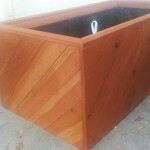 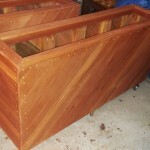 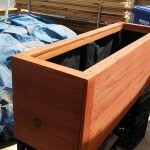 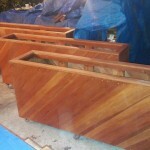 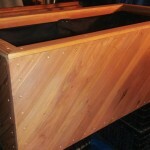 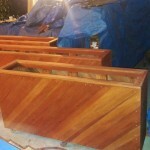 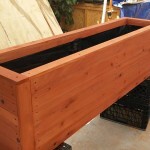 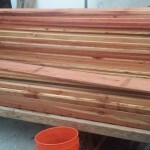 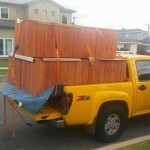 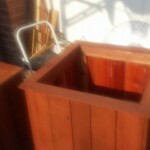 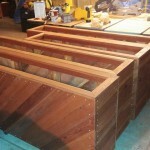 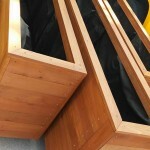 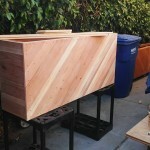 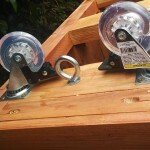 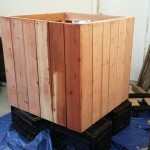 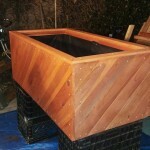 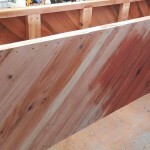 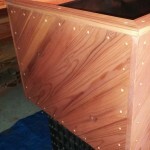 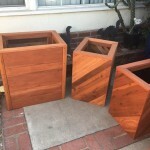 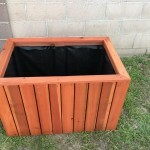 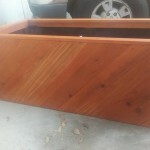 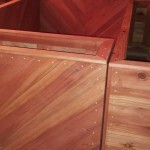 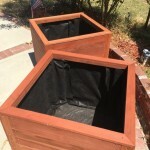 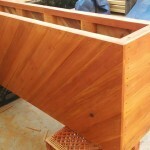 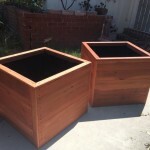 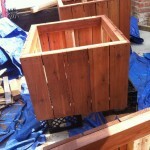 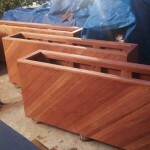 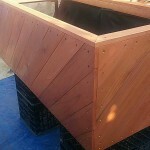 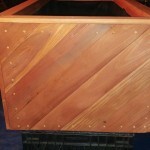 Here we have some very nice custom redwood tree planters. Stained semi-transparent Acorn Brown. 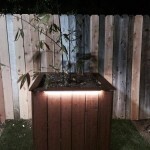 The customer added some lights, which look amazing! 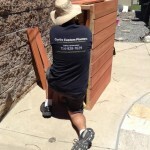 Check out the pics from start to finish. 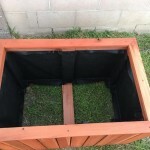 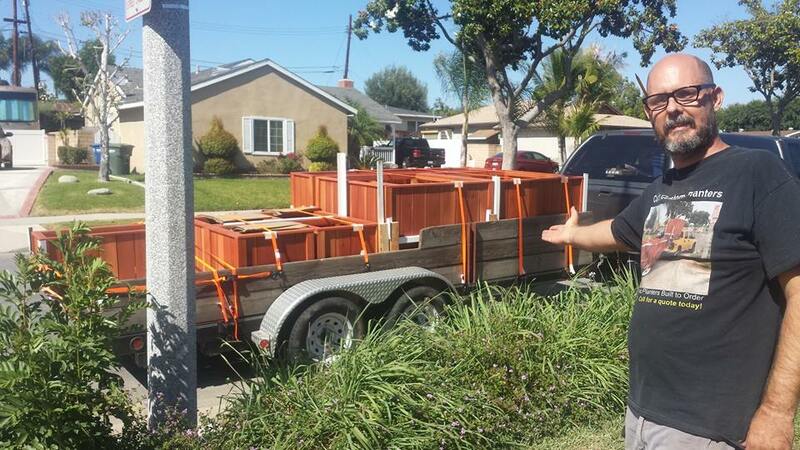 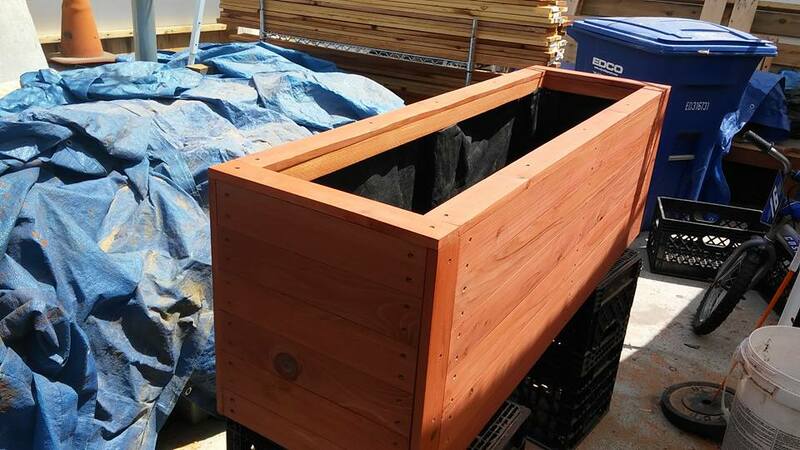 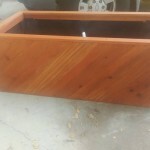 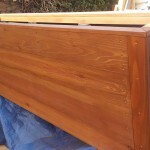 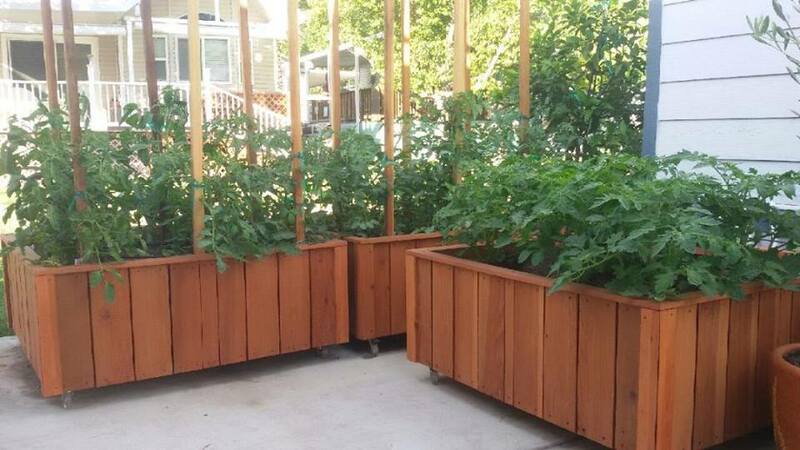 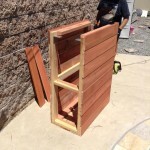 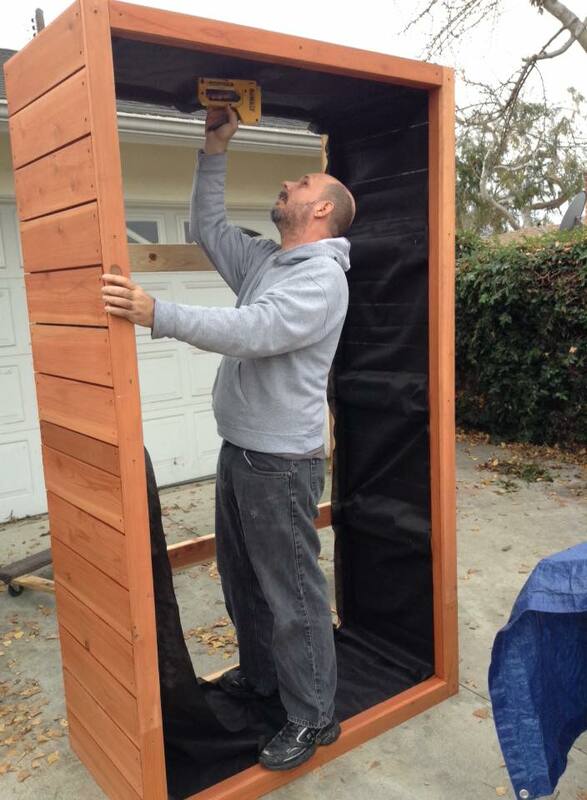 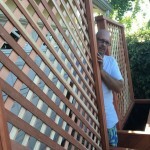 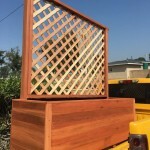 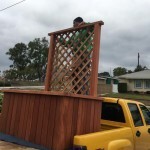 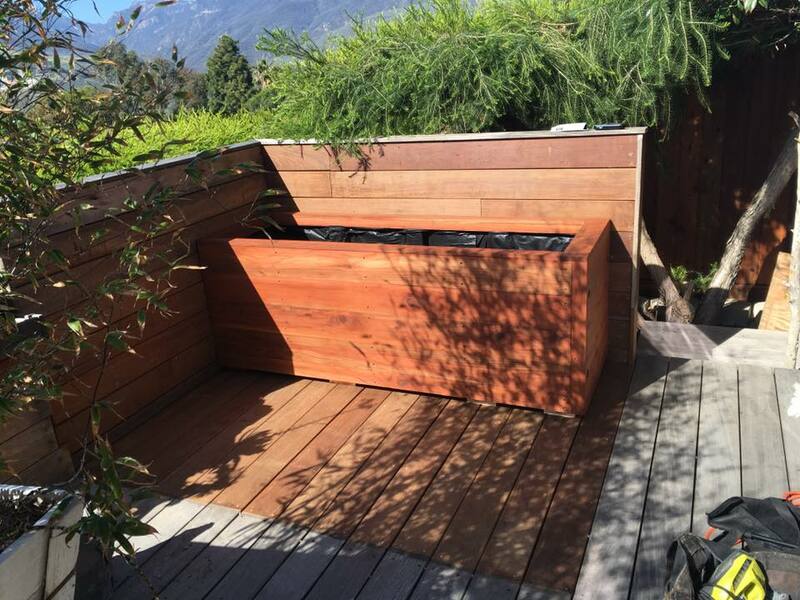 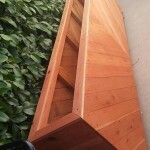 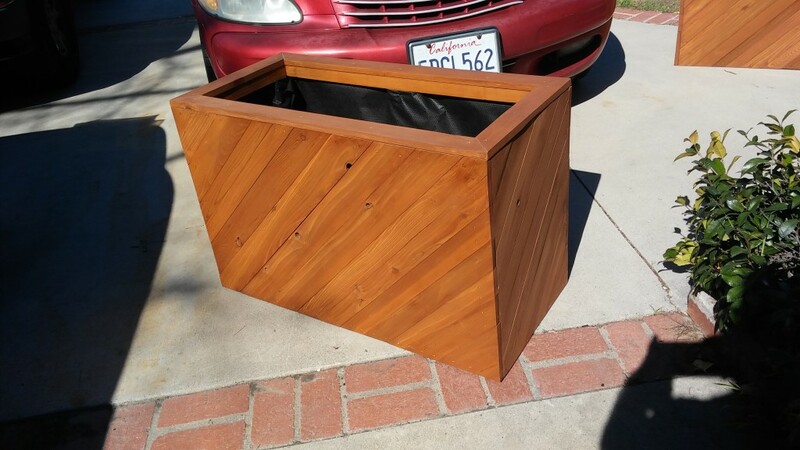 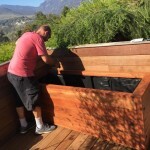 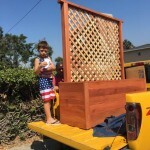 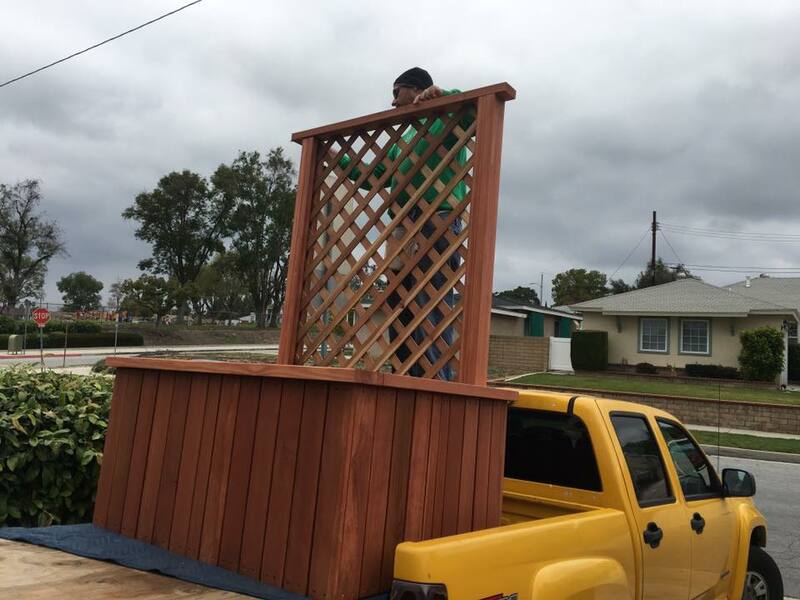 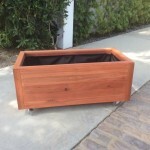 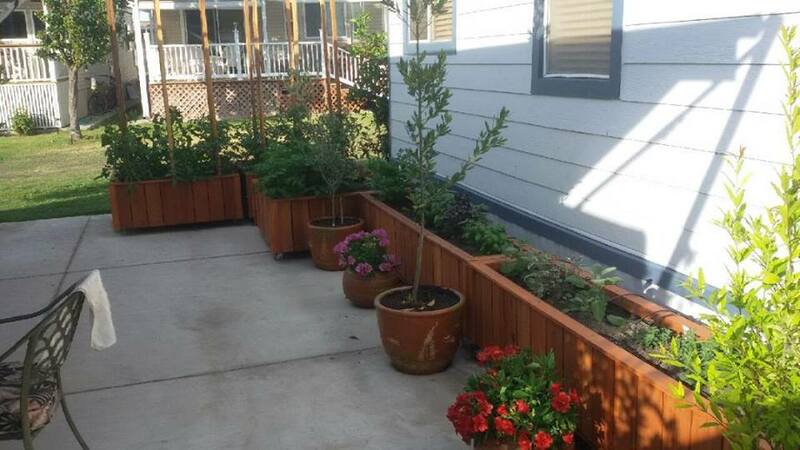 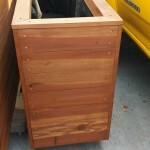 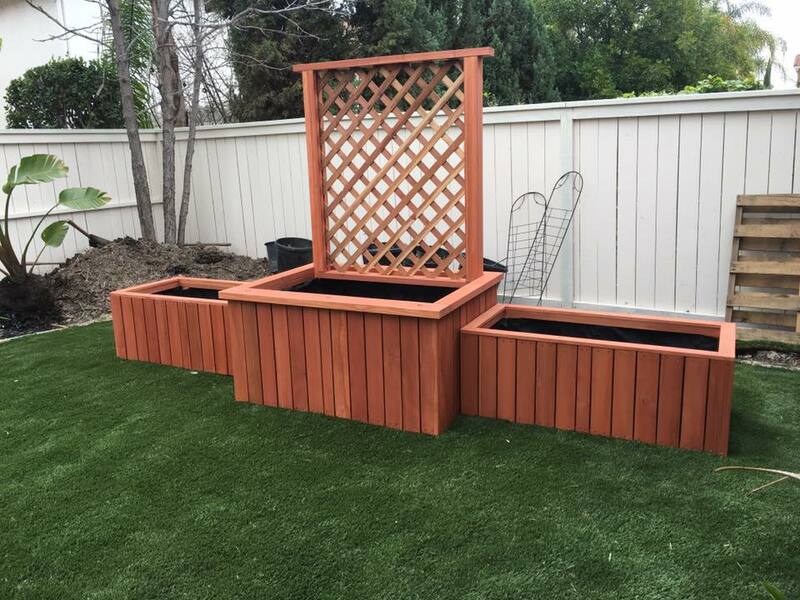 This entry was posted in custom, delivery, planters, raised bed, redwood, tree planter on July 10, 2015 by Robert Curtis.